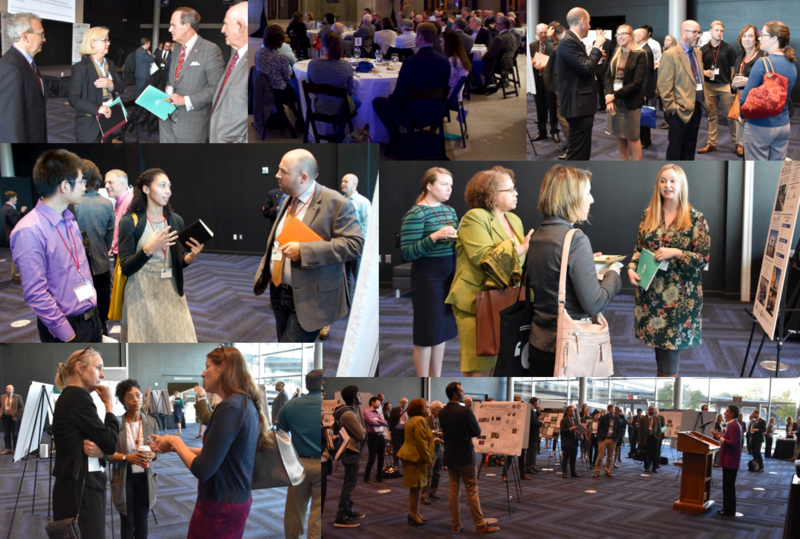 The sixth annual summit of the Virginia Academy of Science, Engineering, and Medicine was held at the Science Museum of Virginia in Richmond on November 7-8th. Securing Prosperity in the Coastal Zone marked a departure from the format of previous events with greater participation and networking. VASEM convened leaders from industry, government, and academia to address issues critical to Virginia with the intent of providing policymakers with actionable guidance to address those issues. This new format drew the largest crowd and sponsorship in the history of VASEM. The organizing committee was comprised of experts from Virginia’s SeaGrant, Virginia Institute of Marine Science, Virginia Tech, Old Dominion University, University of Virginia, George Mason University, William and Mary, the National Academy of Engineering, and the National Academy of Science. Their goal was to discuss issues facing Virginia’s fast-growing and prosperous coastal zone and address the societal and environmental challenges. Rear Admiral Ann Phillips, Ret. U.S. Navy, currently serves as a special assistant to Governor Ralph Northam for Coastal Adaptation and Protection. 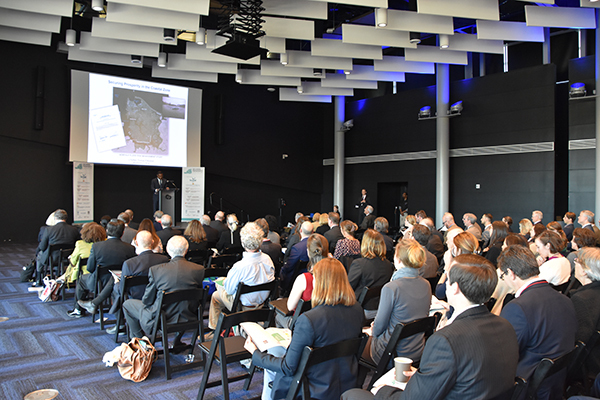 Admiral Phillips provided a keynote address to outline the current efforts to build a resilient Virginia and to issue challenges that should be considered for further study. That study stems from Executive Order 24 and calls for “the creation and development of a Virginia Coastal Resilience Master Plan. A comprehensive plan to protect our coastal areas from sea level rise, recurrent flooding and extreme weather.” “The intent of this is to use the best possible science and engineering, from the many excellent universities across the State, to coordinate and align across the many coastal regions and eight planning districts that connect Coastal Virginia.” said, Admiral Phillips. Former Chief of the United States Army Corps of Engineers addresses the room. The event focused on three primary topics: assets, stressors, and opportunities. One highlight of the event was the lively poster session, peppered with lightning talks, that fostered new connections and opportunities between the diverse groups. For a complete schedule of the speakers, please visit the website. 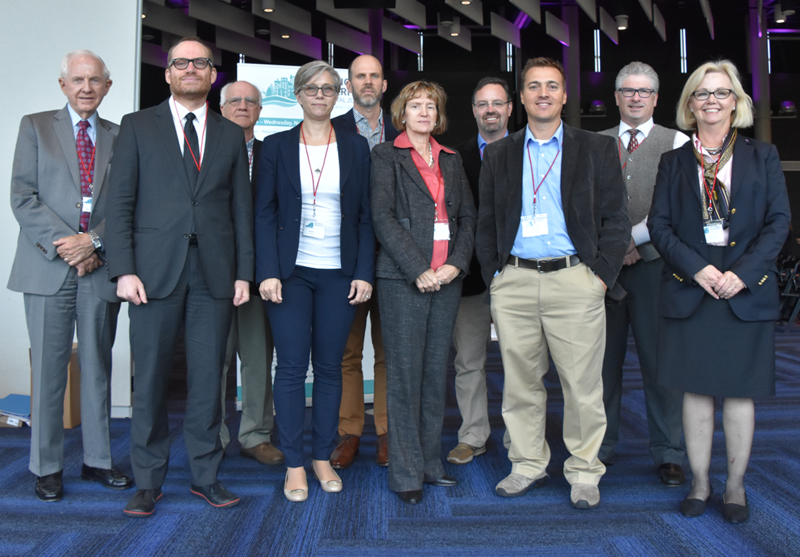 The organizing committee comprised of select leaders from Virginia’s leading research universities on Coastal Resilience and Adaptation. We would like to thank our sponsors in the image to the right who contributed generously to the success of this summit.